The road ahead for Pakistan's automobile industry. Pakistan’s automobile industry has come a long way since 1953 when the first vehicle manufactured in Pakistan – the famed Bedford truck – is said to have rolled off a makeshift assembly line into the future to set the stage for an industry that has contributed a sustained two to three percent to the country’s GDP. Since then, the industry has been on a roller coaster ride, transiting from a regulated industry to a deregulated one, peaking in 2006-07 when a record 200,000 plus car units were sold, egged on by cheap consumer financing and hefty agricultural incomes. This bubble burst at the end of 2007. The global economic crisis took a toll on the local automotive industry. Consumer financing petered out, the depreciating rupee-yen-dollar parity rate rankled CKD prices, putting automobile prices beyond easy reach, and the country was plagued by political upheaval, security and energy crises. Amidst all this, food inflation towered above 35% and all links in the industry chain – from the buyer to the local assembler – had more to think about than cars. Abruptly, the industry was cut down to half its size, plummeting to 107,768 units sold. Currently the industry is buoyed by friendly government policies such as the annulling of the special excise duty of 2.5% and a reduction in the sales tax from 17 to 16%, which have enabled prices of vehicles to fall within the greater reach of buyers. The recent resuscitation of the Yellow Cab scheme in Punjab is another big stimulant to the industry. The first five months of FY 2011-12 make impressive reading, with the Pakistan Automotive Manufacturers Association (PAMA) reporting industry sales registering a 20% increase over the same period last year – up from 58,784 units to 70,460 sold. Although there is still great capacity in the local automotive sector to add on more companies, this is easier said than done. Turning on bright landing lights to pilot foreign investors into parking their investments in an attractive and emerging marketplace ripe for business opportunities remains the elusive key. The biggest challenge is an unstable law and order situation that can slam the door on investors despite any lucrative investment terms offered by the government. Attractive policies and infrastructure need to be devised intelligently and sustained across different governments. 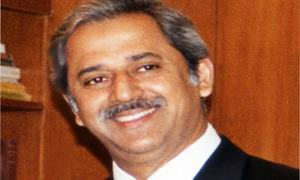 Many investors still recall the pain suffered by all industry players when the first Yellow Cab scheme was suddenly disbanded upon the fall of the Nawaz Sharif Government in 1993, resulting in an industry implosion with hundreds of pre-purchased CKD kits, unsold CBU vehicles and paralysis on the assembly lines. Rupee devaluation is an area that has to be harnessed. Local industry is driven by Japanese technology and the slightest shift in the balance of the rupee-yen parity can have a telling effect on the final price of the car. The last depreciation in September 2011 shaved nearly six percent off the rupee value, and the industry, unable to afford a cut in its margins, passed on most of the effect to the consumer, and although some of the impact was cushioned with the localisation element, car prices spiked by Rs 20,000-50,000. The government’s parts deletion programme has benefited the industry, boosting the local vendor infrastructure with a guided, realistic transfer of technology. Local manufacture of parts has been able to sandbag the effects of the fluctuating rupee-yen parity to some degree. At an estimate, some 1,600 vendors and parts manufacturers, employing over 200,000 skilled workers are direct beneficiaries of the deletion programme. Current localisation ranges from as high as 70% for smaller vehicles, but the programme lags behind for larger models where technology evolves more, and models change frequently. Although the parts produced locally are said to be built as per international standards of quality and are approved by the Original Equipment Manufacturers’ (OEMs) foreign principals, the consumer may tend to disagree, citing a general level of poor quality triggered by producers struggling to meet deletion deadlines, resulting in a short operational life of the vehicle. The government policy on the import of used cars (upgraded in December 2010 to allow five-year-old cars) was crafted to provide variety and a lower-cost option to the consumer. Some 20,000 cars have been imported, mostly with no consumer support or warranty for service and spares, deterring local expansion plans and in turn impacting local employment, industrialisation and transfer of technology while greatly restricting government income from direct taxes. The debate rages on, and the government is expected to continue being spurred on by ostensible delayed capacity expansion plans by local assemblers, who in turn suspect shady lobbies at work behind continuing imports. In terms of market share as it stands presently, Pak Suzuki has the biggest piece of the pie at 60%, followed by Indus Motors at 30% and Honda at 11%. Sales for all major manufacturers have seen an upward trend albeit with varying performance of competing brands. 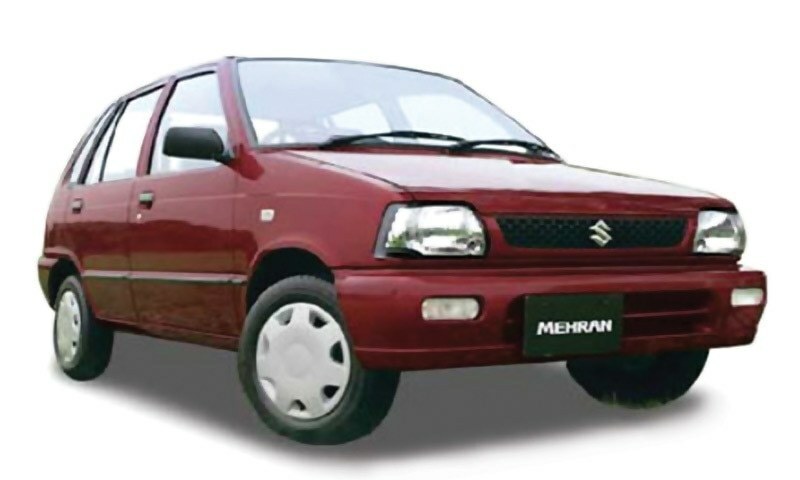 The Yellow Cab scheme introduced by the Punjab Government jumpstarted sales of Suzuki Mehran (the most popular car in the Pakistani market), numbers surging to a 47% increase with 14,134 units sold until November 30, 2011 compared to 9,596 units sold during the same time period last year, leaving every other car behind. 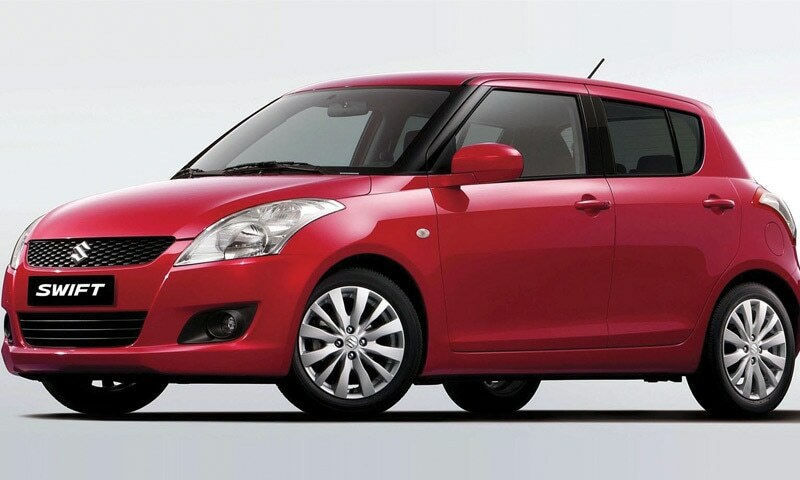 Sales of Suzuki Swift rose to 121% to 2,802 units compared to 1,270 units sold in the same period last year. Liana also came into its own and witnessed a generous 16% jump in sales to 188 units compared to 162 units in the same period of last year. Most Pak Suzuki models also sell well because of their prolonged Pakistani experience and the efficient availability of cheap after sales service and parts, coupled with solid resale value. #### In terms of market share as it stands presently, Pak Suzuki has the biggest piece of the pie at 60%, followed by Indus Motors at 30% and Honda at 11%. The ace player in the 1300cc sedan segment remains Toyota Corolla which posted a four percent boost in sales to register 17,867 units compared to Honda City which, in spite of perking up sales by 14% over last year, still sold only 4,175 units in the same period. The Corolla has long been number one for the well earned reputation of being a reliable ‘tough bird’. It is rugged and most suited to the Pakistani road conditions that can, especially in the rural environs, batter and bruise the sturdiest of vehicles – one big reason why you will see rural Pakistan nearly overwhelmed by this car, rather than Honda City or Civic, which are considered much less robust. For the urban consumer, a Corolla is chosen over a City or Civic for the big reason that it commands an excellent resale price. Regular institutional buyers like radio cabs and government offices also prefer these vehicles assuring extended sales. Over the last decade, most companies have taken on the global best practice of establishing a wide network of 3S dealerships – efficient sales, reliable after sales service and cheap, freely available spares, all under one roof. It is no small wonder that Pak Suzuki with the largest market share and the most popular products also possesses the largest dealership network in Pakistan. Companies regularly train their dealerships and liaise with the government and banks to facilitate policy to help sustain sales. The recent Pakistan Auto Show in Lahore in October 2011 showcased a novel way to promote locally assembled products and a networking hub with visiting foreign investors. However, the biggest marketing challenge for the industry is to overcome the customer viewpoint regarding unbridled price hikes by local companies. All major automobile assemblers are accused of taking indiscriminate amounts of profits at the expense of their customers by not allowing a cut into their margins and passing on the entire impact of the cost hike to the buyer. A more aggressive segment accuses them of increasing prices on the slightest pretext and staving off government efforts to bring in foreign investment. 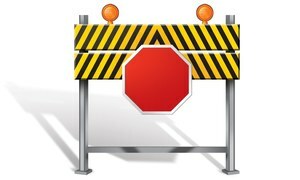 The outlook for the industry in 2012 is generally bright, as the potential for growth is enormous. 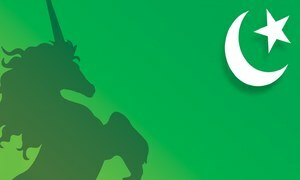 Economists predict Pakistan’s GDP to register at nearly $214 billion during 2012, a growth of four percent over the previous year and the industry is expected to contribute up to four percent to the national GDP, translating to a throughput of $8.5 billion during 2012. 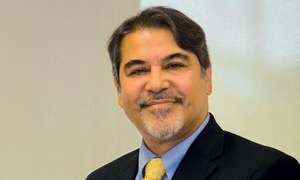 The tax and duty structural incentives introduced by the government in the last budget are expected to stay in place, but many more incentives are required to keep the graph up, most critically the used car import policy that needs a revisit to build in customer support and revenue collection efficiencies. There will be other challenges. Flooding in Sindh and the consequent impact on agricultural income has diminished purchasing power of a dominant rural buyer segment and this may well sustain into 2012. The very real threat of rupee depreciation will continue to haunt company margins and the industry will have to rely on building in operational efficiencies and expanding on localisation of the vehicle to reduce such dependencies. The ultimate solution will have to stem from a win-win partnership between the industry and the government where both will have to huddle together to evolve out of current mindsets and learn from the errors of the past.